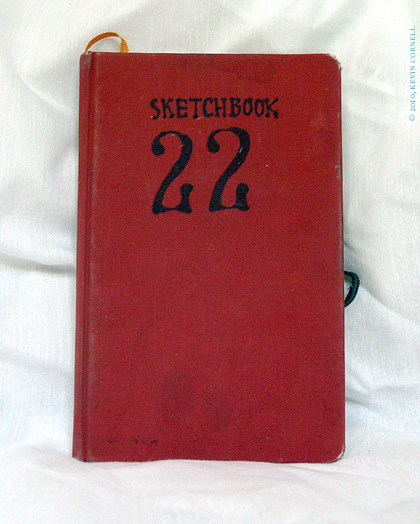 "Sketchbook 22 Live!" - A classic Bearskinrug Article. Just a quick note for anyone in the Portland area. 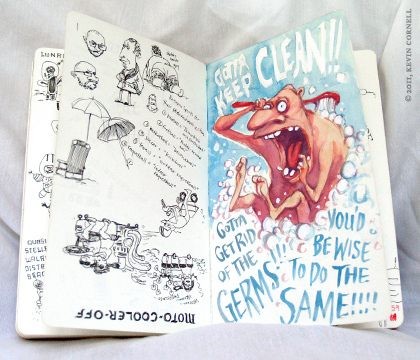 My 22nd sketchbook will be on display at a show held in Hood River, by the good folks at Blue Collar agency. The show, entitled Syzygy runs through all of July. But you'd be wise to attend the opening reception from 6pm to 9pm on Friday, July 1st. The last Six-Penny Anthems II Limited Editions are there!!? That's right! 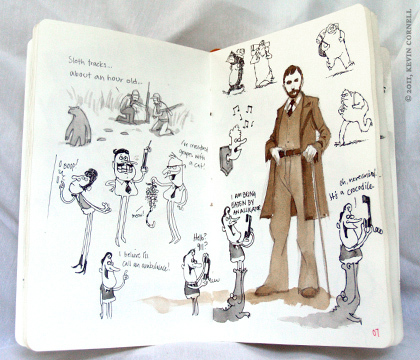 This sketchbook in particular provided much of the content for Six-Penny Anthems II, and thusly, some of the recent Limited Edition copies of the book were reserved for sale at the show. So, if you missed your window of purchase on my site, you can probably pick one up there if you attend. Will there be other artists? Indeed! Several other talented artists are also putting their work up for display, including Alberto Cerriteno, Chris Clark, Russ Cosgrove, Stephen Datnoff, Meredith Dittmar, and Caleb Freese. None of which I can beat in arm wrestling. Except... maybe Chris Clark. We're about the same height. Not anymore! In fact, 10% of all art sales will be donated to Columbia Gorge Arts in Education (CGAIE). CGAIE is a non-profit organization that provides arts education to K-12 school children in Hood River, Wasco, and Sherman counties in Oregon and Klickitat County in Washington. Their mission is to enhance every child's education through performing, visual and literary arts in school. Or so I'm told by Blue Collar. Whatever the case, it's one of the few times I'm actually helping someone. Even when I worked at that retirement home, I was just there to scout out chicks. There are currently 7 comments. To Portland and beyond! When does the world tour start? I love your new sketchbook! 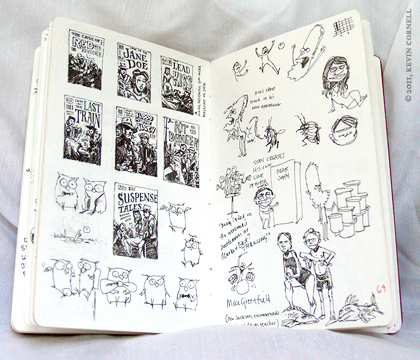 Have you ever published your actual sketchbooks themselves? (I enjoy seeing the color work too.) Bring the tour to DC! Sloth tracks... hahahahahahahah dude, you slay me.